ALL 5 pieces ship together. 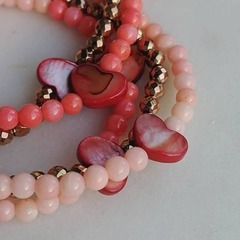 Dainty Hearts Migrate Toward Spring in flocks of pearly pink and coral. 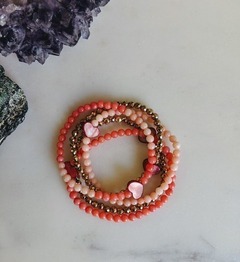 I'm fairly certain that hearts have wings but they prefer to fly together. 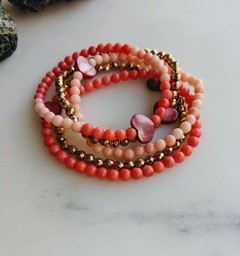 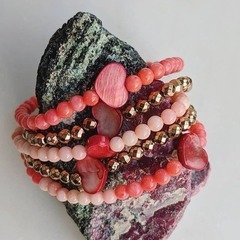 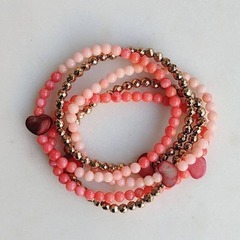 4mm bamboo pink, coral, and copper toned beads. 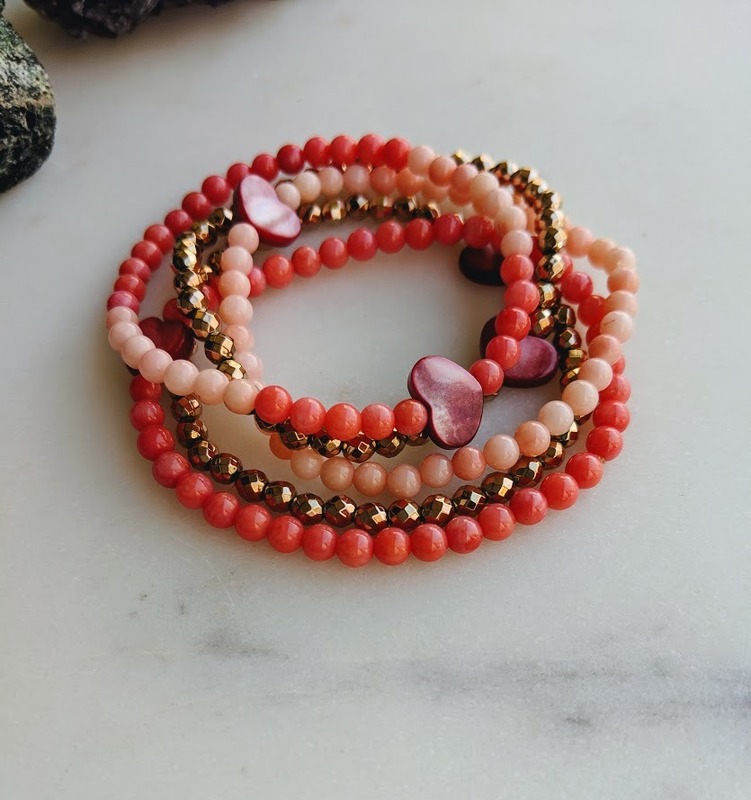 Meant to wear together, but can be purchased as a set and individually gifted to your tribe or loved ones.